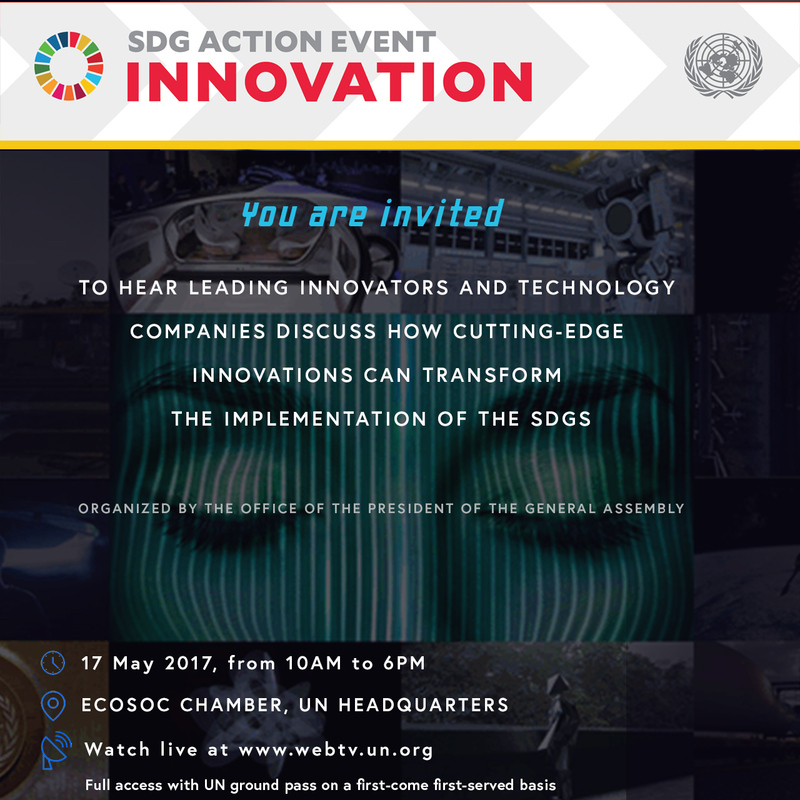 On 17 May, building on the Multi-Stakeholder Forum on Science, Technology and Innovation for the Sustainable Development Goals, the President of the General Assembly will convene a SDG Action Event on Innovation and Connectivity. During the event, leading innovators from the major corporations of the world will interact with Member States on how emerging technologies can transform efforts aimed at the successful implementation of the 2030 Agenda. The adoption of the 2030 Agenda for Sustainable Development saw world leaders commit to 17 comprehensive, integrated and ambitious Sustainable Development Goals (SDGs). The world in which the SDGs were adopted is radically different from that of the Millennium Development Goals. Giant leaps in technological advances are converging to make the unthinkable possible. These advances are also raising questions on societal impact. Increase the understanding and awareness of the opportunities and challenges of new technology and exponential change. Strengthen the ability of the United Nations to act as a catalyst for innovation and solutions in support of the implementation of the Sustainable Development Goals. Rally leading innovators and technology companies to develop, incubate and resource cutting-edge innovations to solve pressing challenges in support of the Goals. Explore how to support collaborative platform(s) to facilitate the sharing of the best ideas and innovations to inform policy and inspire collective action for scale and global impact. The SDG Action Event is open to all Member States, the UN system, and invited guests. This meeting will allow the Member States and the UN system to embrace innovation and new opportunities available to drive implementation of the SDGs, and strengthen the engagement of leading innovative companies and individuals in revelent intergovernmental processes.